Christopher T. Westfall, M.D., F.A.C.S., a professor of ophthalmology and longtime clinical and academic leader UAMS, has been appointed dean of the College of Medicine. Sept. 24, 2018 | Sept. 24, 2018 | Christopher T. Westfall, M.D., F.A.C.S., a professor of ophthalmology and longtime clinical and academic leader at the University of Arkansas for Medical Sciences (UAMS), has been appointed dean of the College of Medicine. Westfall has served as interim dean since Feb. 23, when former dean Pope L. Moseley, M.D., stepped down to pursue his research. Cam Patterson, M.D., MBA, became UAMS chancellor June 1 and made Westfall’s position as dean permanent this month. Until his appointment as permanent College of Medicine dean, Westfall had been chair of the college’s Department of Ophthalmology. UAMS professor Sami H. Uwaydat, M.D., has been appointed the department’s interim chair. Westfall continues as director of the UAMS Harvey & Bernice Jones Eye Institute and as holder of the Pat Walker Endowed Chair in Ophthalmology. 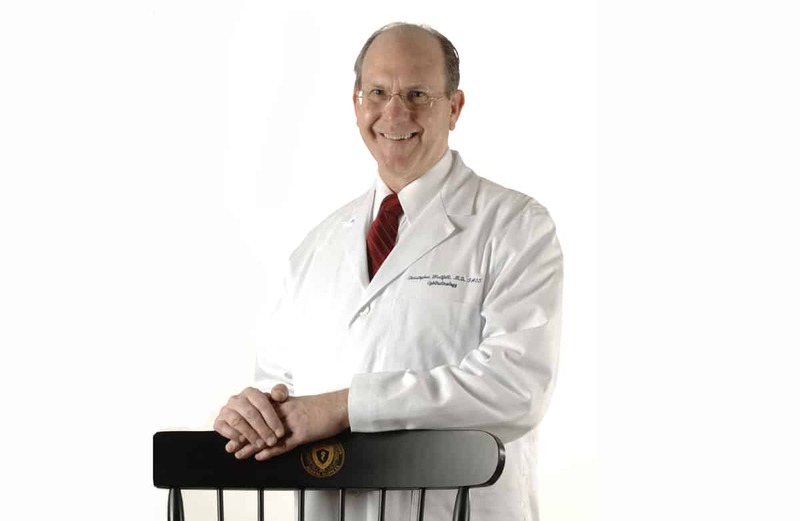 Westfall joined the faculty in 1997 and served in numerous leadership positions prior to his appointment as chair of ophthalmology and director of the Jones Eye Institute in 2009. These included vice chairman and medical practice leader; chief of the oculoplastic surgical services at UAMS Medical Center, the John L. McClellan Memorial Veterans Hospital and Arkansas Children’s; chief of service at Arkansas Children’s; and chairman and medical director of the Ophthalmic Medical Technology Program in the UAMS College of Health Professions. Westfall served as UAMS chief of medical staff in 2014-2016. In 2008 he was invested as the inaugural holder of the Pat Walker Endowed Chair in Ophthalmology. Westfall received his undergraduate degree from the U.S. Military Academy at West Point, New York, and earned his medical degree at the Ohio State University in Columbus, Ohio. He completed a residency in general surgery at Keesler U.S. Air Force Medical Center in Mississippi, was certified by the American Board of Surgery and awarded fellowship in the American College of Surgeons (FACS). He went on to complete a residency in ophthalmology at Wilford Hall U.S. Air Force Medical Center at Lackland Air Force Base in Texas, and a two-year fellowship in ophthalmic plastic and reconstructive surgery at the Massachusetts Eye and Ear Infirmary and Harvard Medical School in Boston. He is certified by the American Board of Ophthalmology. Westfall served as department chair and residency program director in ophthalmology at Wilford Hall U.S. Air Force Medical Center. He retired at the rank of colonel and as chief consultant in ophthalmology to the U.S. Air Force Surgeon General.